We understand your pet is part of the family, so we say, bring them along! Here at the Gage we love pets and we understand that leaving your pet behind would be like leaving a family member home. During your stay, your pet will enjoy the Gage experience as much as you. In addition to homemade dog treats for all our furry visitors, we can provide dog bowls, dog beds and leashes if necessary. For your pet’s protection as well as ours, if you wish to leave your canine companion alone in your room and do some exploring we prefer that he or she be kenneled. Specific hotel rooms are reserved for pets so be sure to mention you are traveling with your pet when you make your reservation. This will ensure we have one of our pet friendly rooms ready for you when you arrive. Upon arrival, we suggest you get your furry companion settled in as quickly as possible by setting out their bowl, toys and bed so the new surroundings start to look familiar. Playing with your dog when you arrive will help demonstrate that this strange new territory is a fun place. Be sure to enjoy the 27-acre Gage Gardens’ walking trails and wide open spaces. Pet charge is $30 per pet, per night in pet approved rooms. ESA and FAA registered pets are NOT waived of this fee and must occupy a pet friendly room. Pets must be fully trained, appropriately restrained and never left unattended. 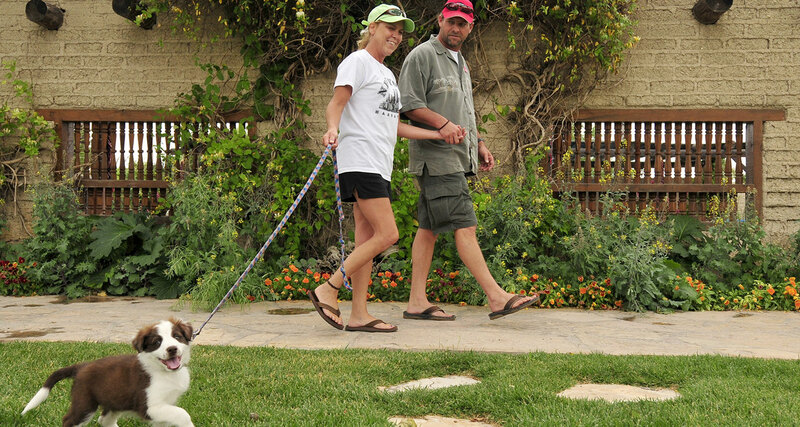 Pets must be kept on a leash when on hotel grounds or public spaces. Pets are not allowed in the hotel’s restaurant, bar, swimming pool, spa or fitness center. Guests are responsible for cleaning up after pets in rooms or on hotel property. Disturbances such as barking, must be curtailed to ensure other guests are not inconvenienced. Guests are responsible for all property damages and personal injuries resulting from their pets. Please click here to read our full pet policy.